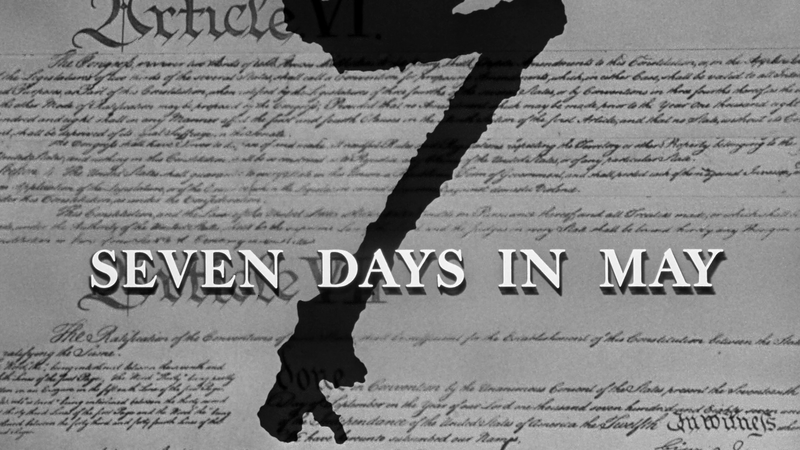 Seven Days in May certainly seems to be a prescient film given today’s climate and the movie itself is a showcase of some solid performances by prominent actors of that era, namely Burt Lancaster and Kirk Douglas. 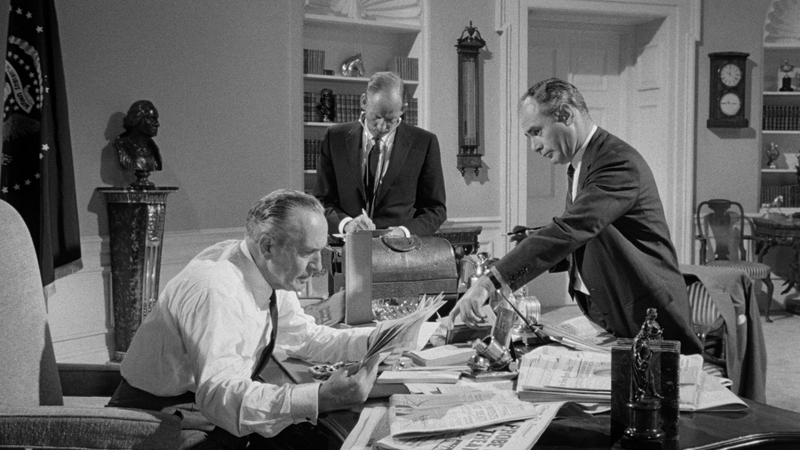 U.S. President Jordan Lyman (FREDRIC MARCH) hopes to bring an end to the Cold War by signing a nuclear disarmament treaty with the Soviets, much to the displeasure of the hawkish General James Scott (BURT LANCASTER), Chairman of the Joint Chiefs of Staff. When Scott’s aide, Martin “Jiggs” Casey (KIRK DOUGLAS) stumbles on shattering evidence that the General is plotting a coup to overthrow Lyman in seven days, “Jiggs” alerts the President, setting off a dangerous race to thwart the takeover. 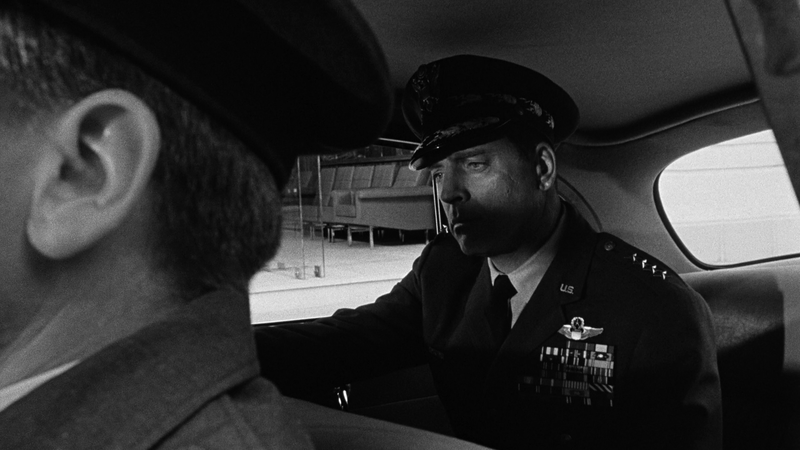 Not much here, but an Audio Commentary with Director John Frankenheimer, was included. Warner Archives releases Seven Days in May onto Blu-ray and is presented in its original 1.78 widescreen aspect ratio and given a nice-looking and well-defined 1080p high-definition transfer. The DTS-HD Master Audio Mono track is serviceable enough though I did notice it topped out a couple times (mainly with the score) while dialogue came through rather clearly. 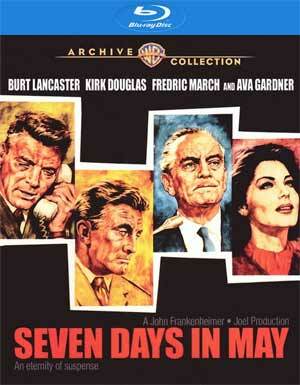 Overall, Seven Days in May certainly seems to be a prescient film given today’s climate and the movie itself is a showcase of some solid performances by prominent actors of that era, namely Burt Lancaster and Kirk Douglas. This is a nice release in Warner’s Archive Collection offering great video and decent audio transfers to go along with a fascinating commentary by Frankenheimer.